The No. 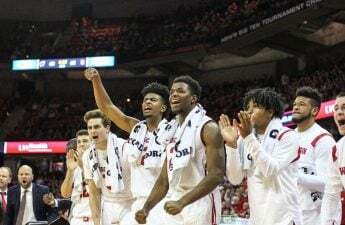 22 University of Wisconsin men’s basketball team put their money where their mouth is after being tested in a big-time battle in the Big Ten. 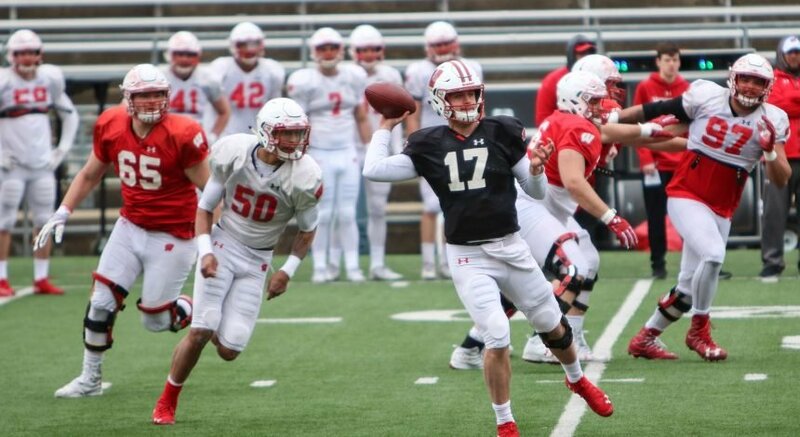 The resilient Badgers overcame a late deficit to defeat the No. 14 Iowa Hawkeyes 72–66 down in Iowa City. Trailing by as many as eight points in the second half, the Badgers found themselves in need of a comeback for the second game in a row. And for the second game in a row, the Badgers answered the call behind a string of clutch baskets down the stretch of the game. In the last two minutes, Wisconsin shot three for three on field goals and was perfect on their final four attempts from the free throw line. 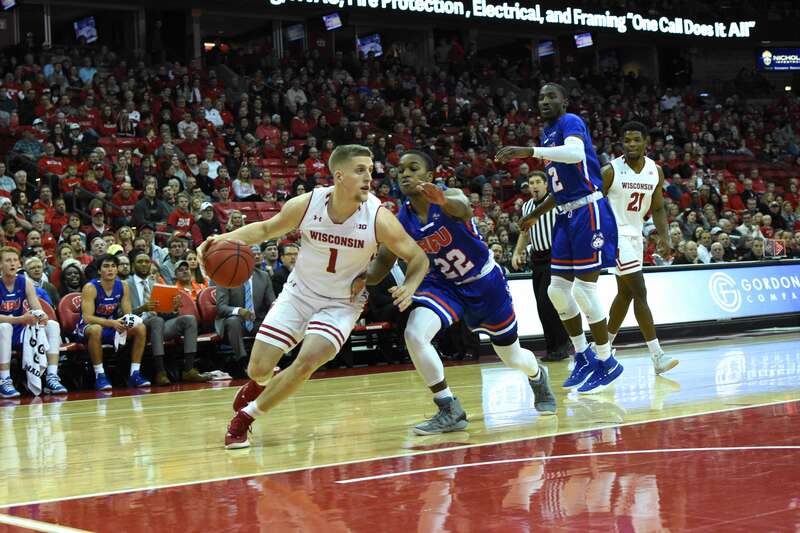 Wisconsin did have to fight through some foul trouble early as both Aleem Ford and Nate Reuvers had two fouls in the first half. Ethan Happ fouled out of the game with 46 seconds remaining after trying to body up Jordan Bohannon of Iowa. On the previous possession, Happ converted on a crucial bucket in the post to push the Badgers lead to four points late in the game. Happ finished with 13 points, seven rebounds and five assists. D’Mitrik Trice continued to dominate and finished with 20 points, including a clutch three-pointer with 25 seconds left to put the Badgers up by five. This is Trice’s fourth 20-point game of the season and he is leading the Big Ten from beyond the arc, shooting 58.3 percent from deep. 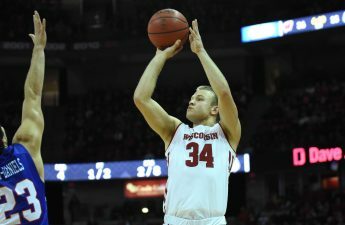 Brevin Pritzl also provided some late-game buckets to earn the Badgers a win in this Big Ten battle. Pritzl pushed his way through some slight shooting struggles starting the game just one for five from three. But the junior guard showed up when he needed to, knocking down a clutch three-pointer to take the lead 63–68 with one minute 38 seconds left in the game. He finished with 12 points on five of nine shooting with all four of his misses coming from behind the three-point line. On the other side of the ball, Iowa’s Tyler Cook played lights out totaling 19 points while snagging 15 rebounds. Cook’s aggressive play kept the Hawkeyes in control for most of the game, with the Hawkeyes pushing the lead up to eight points midway through the second half. Luka Garza and Jordan Bohannon both added 11 points and three rebounds for Iowa, but it was not enough to match-up the Badgers. Next, the Badgers will take on the Rutgers Scarlet Knights at the Kohl Center Monday, Dec. 3.